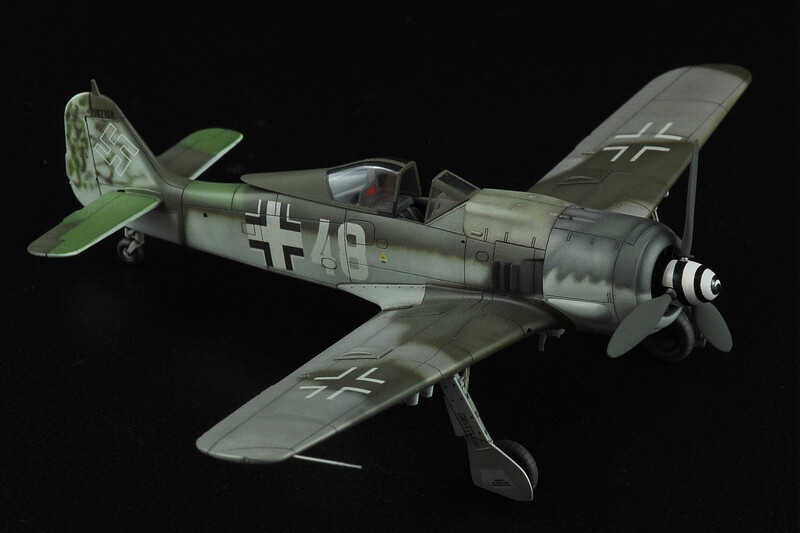 Peter Belušiak from Slovakia has built this excellent 1/72 scale model of Focke Wulf Fw 190 F-8, W.Nr. 587108. 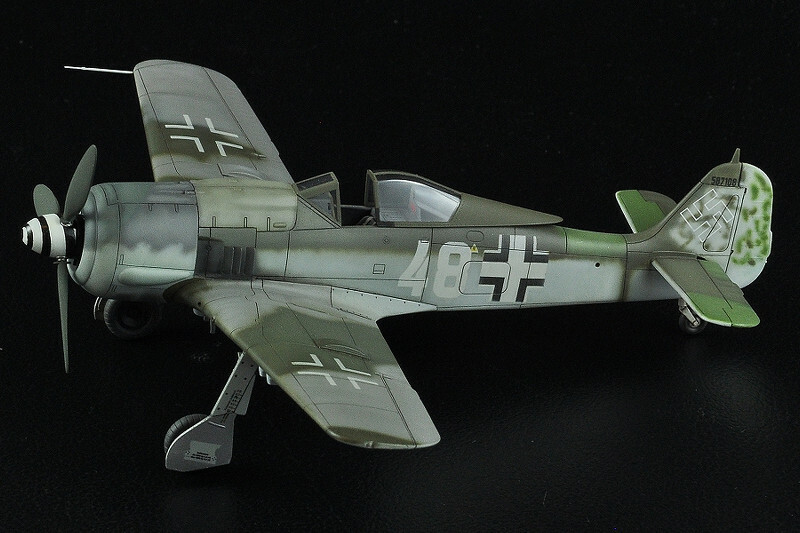 [a] We have helped Peter with the color interpretation of the aircraft’s camouflage based on the color slide. 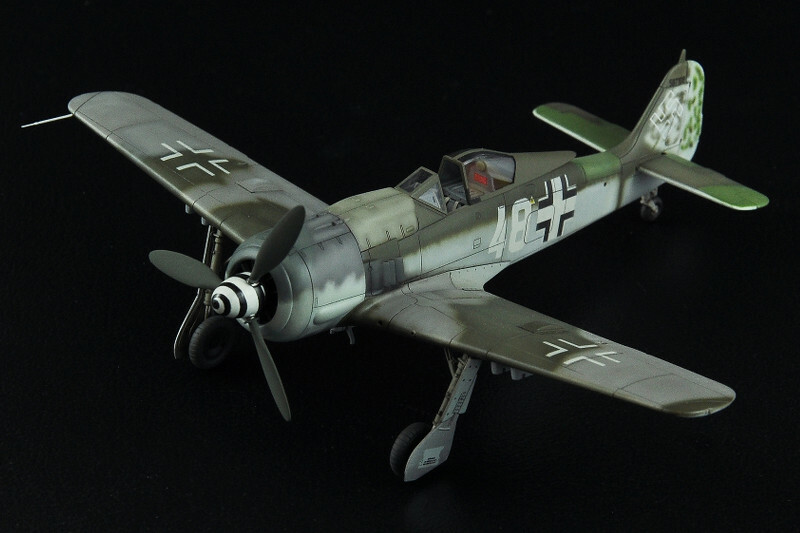 We have published several black / white photos of this aircraft in our ‘Captured Eagles Vol. I’. [b] Meanwhile, we were fortunate enough to discover a Kodachrome color slide of this aircraft, which helped check and partially correct our previous camouflage color interpretation based on the black / white photos. The color slide and a detailed description of the camouflage colours will be published in our next ‘Captured Eagles Vol. II’, which is currently under preparation. W.Nr. 587108 was produced in late 1944 by the Arado, Warnemünde factory, which, along with Norddeutsche Dornierwerke, Wismar, was the main producer of the F-8 subtype. It is quite likely that W.Nr. 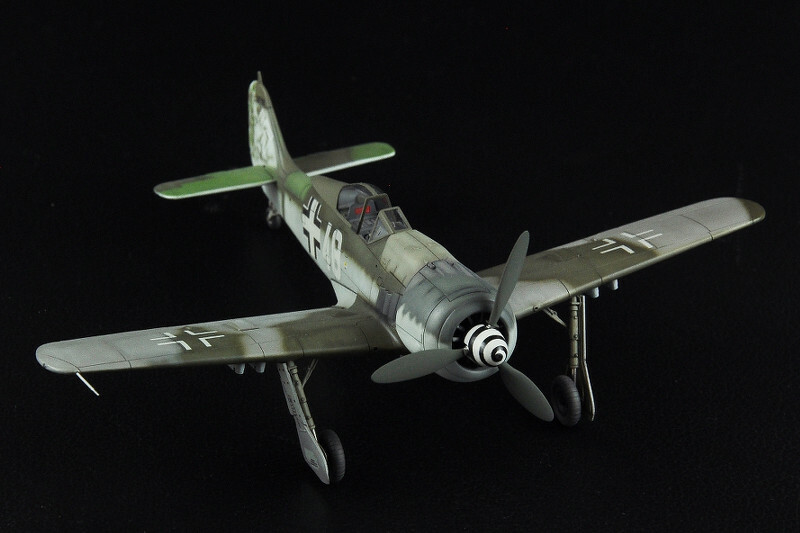 587108 was assembled from re-used components of other Fw 190s. This is also reflected in the aircraft’s camouflage.